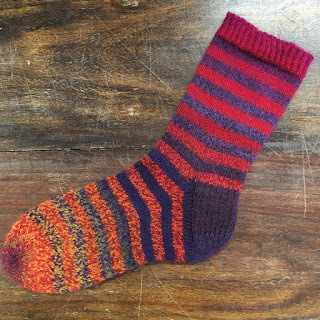 The Woolly Brew: Knit Night scarf and a different sock! Knit Night scarf and a different sock! 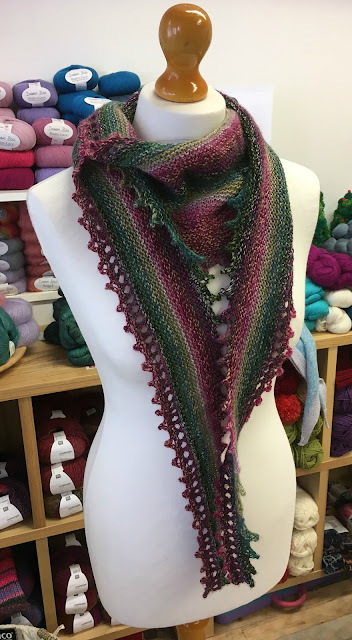 A easy peasy scarf that takes one ball of our new Debbie Bliss Rialto Sock yarn. 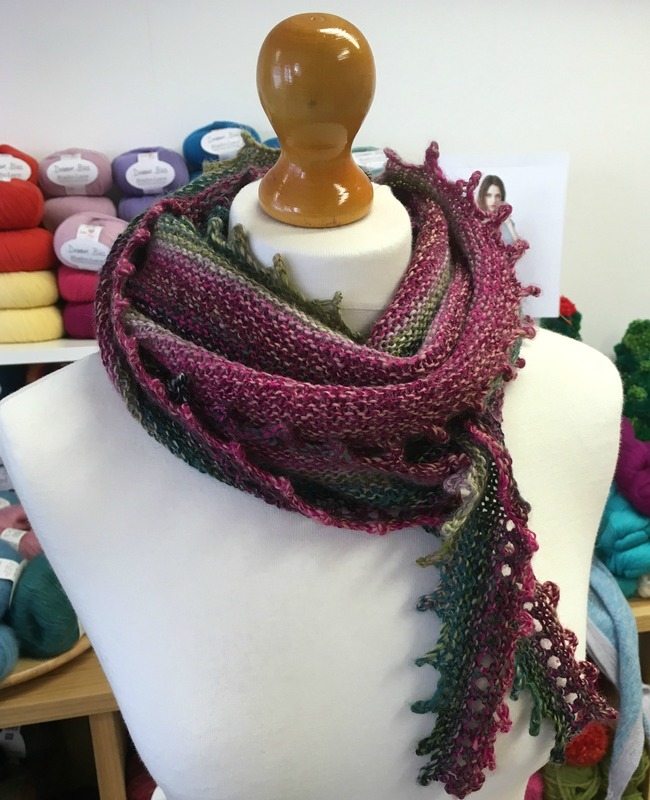 Designed by Louise Zass-Bingham, this is such a great pattern, with lots of options. You can do the simplest version or add a picot edge (very easy!) add eyelets or beads. It even has advice on changing the shape and using different thickness of yarn. Named because it's easy to do whilst chatting at a knit group but also good for TV knitting and travelling and when you want something simple and soothing. This works great in the self striping Rialto Sock (soft against your neck too!) 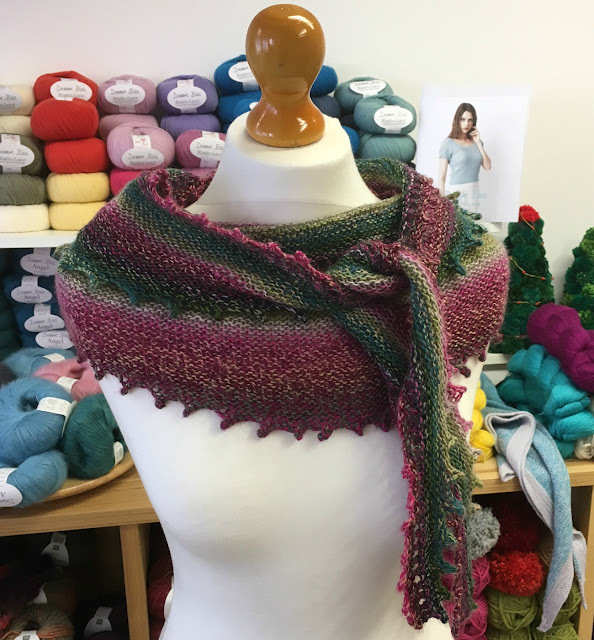 but would also look lovely in a solid colour... Socks Yeah or Juniper Moon's Herriot Fine? Maybe a luxurious heavier weight one in worsted weight Herriot? Knit Night pattern in the shop and the yarn is too! Have you seen our Different Stripe sock? It uses one ball of Rialto Sock yarn but we've split the ball into 2, 50g balls and worked 5 rows from each smaller ball. Forcing the self striping yarn to stripe in a different way. This is a popular way to use this style of sock yarn... you can see lots of inspiration on Ravelry.